My name is Sven-Åke Risfjell. I was born 1950 in Vilhelmina, South Lapland where I also grew up. My Lappish roots descends from my grandmother in Tärnaby and from my grandfather in Vilhelmina.The name Risfjell goes back to my familys old lappish residense in Tärnaby. Beside my handicrafting I have my own shop together with my wife Doris, previously located in the old churchtown area in Vilhelmina with a magnificent view over lake Volgsjön and mount Blaikfjället. Since 2016 you will find us at Volgsjövägen 46 along road E45 in the centre of Vilhelmina. 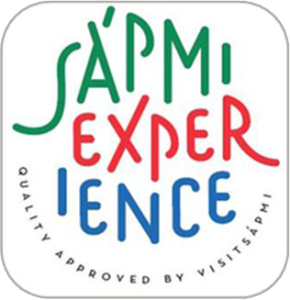 This shop includes a gallery with handicraft from my own production, a Lappish, Sami museiroom containing an exhibition of Lappish,Sami history, folklore and antique utensils from the Lappish, Sami culture that I´ve been collecting through many years. In the gallery you can also see the world biggest Lappish, Samiknife which I made in 1996. ”Vueltjere Duodji”, is an organisation I´ve founded Vilhelmina , where I´ve realized several projects such as archeological research in sameland, research in saminames of places and villages, building a sami village in Vilhelmina with traditional Lappish, Sami houses. 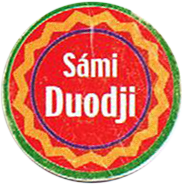 During the years I´ve been activ in several sami organisations such as; ”Sameslöjdsstiftelsen Sami Duodji” as the chairman, member of the committe ”Same Ätnam”, additonal member of SHR, member in the committe of ”Nämnden för hemslöjdsfrågor” under the gouvernment. I´ve also had the privilege to participate as a samihandicraftteacher in a Sidaproject in Peninsula Island in Russia. To my great satisfaction I´ve also been abel to take part in several well-known exhibitions in Sweden as well as abroad for example Panama, Alaska, Denmark and Island.